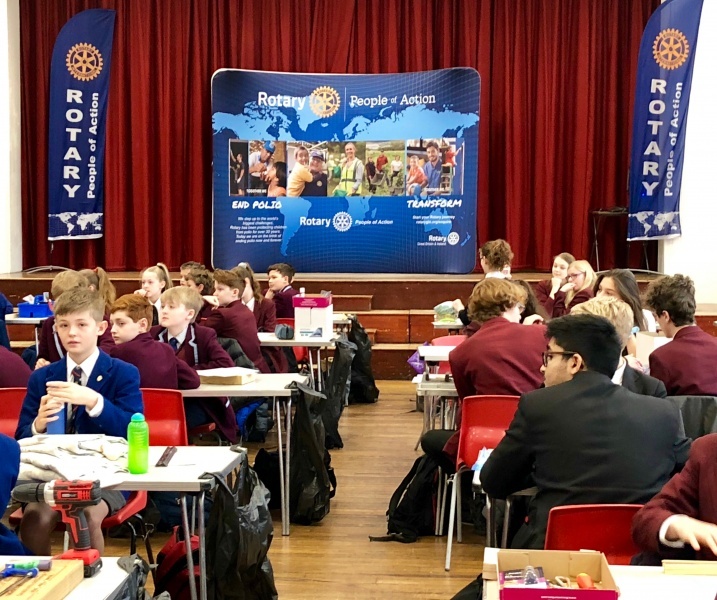 A Technology Tournament was hosted by the Chiltern Hills Academy on Friday 1st March. 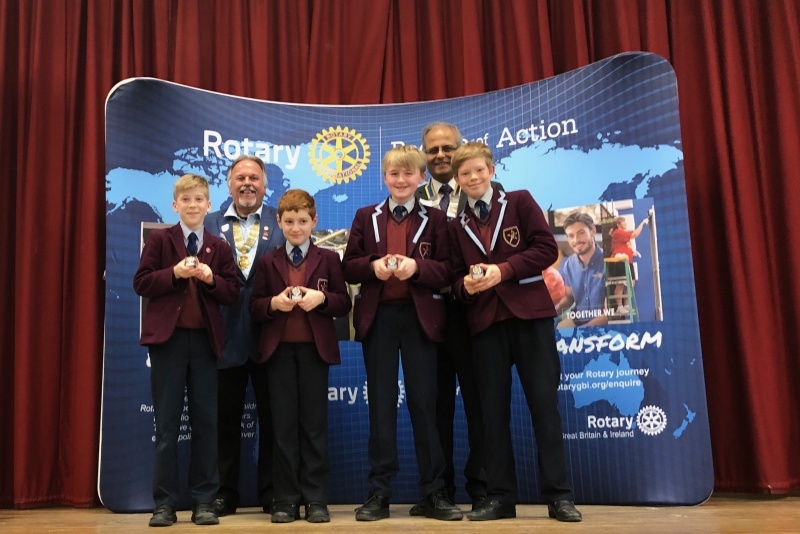 This was organised by the Rotary Clubs of Amersham, Chesham, and Great Missenden. The event was attended by the Mayors of Amersham and of Chesham, Cllrs. Caroline Jones and Jane McBean, and by the Rotary District Governor Dave Ford. 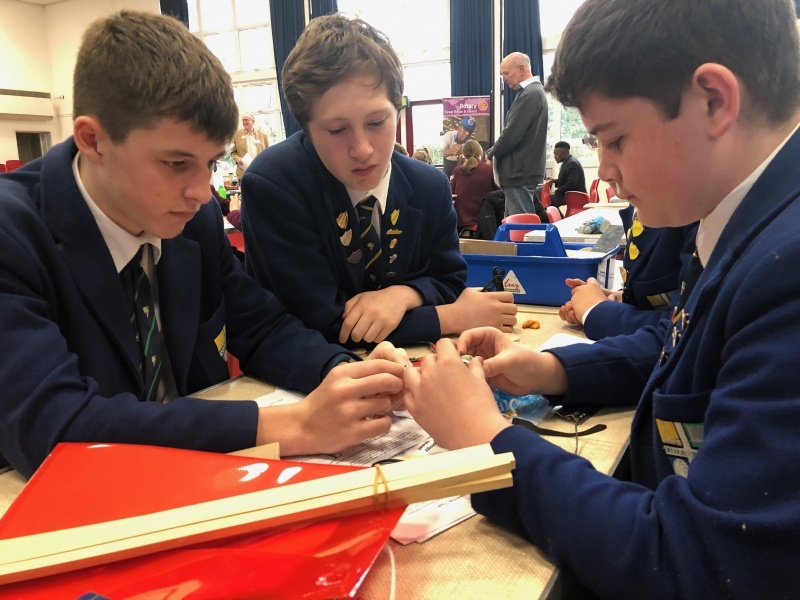 Teams of four were given a collection of drawing pins, pieces of wood and other simple materials, together with a small electric motor, and asked to design and build a device that would lift a supposedly hazardous object from an awkward situation, actuated from a safe distance. There were three levels of difficulty, for different age groups. This is called a Tournament rather than a competition, because it is hoped that everyone would achieve a measure of success. Marks are given for teamwork and design, as well as for the finished product. They all worked hard, and came up with a large number of different designs. 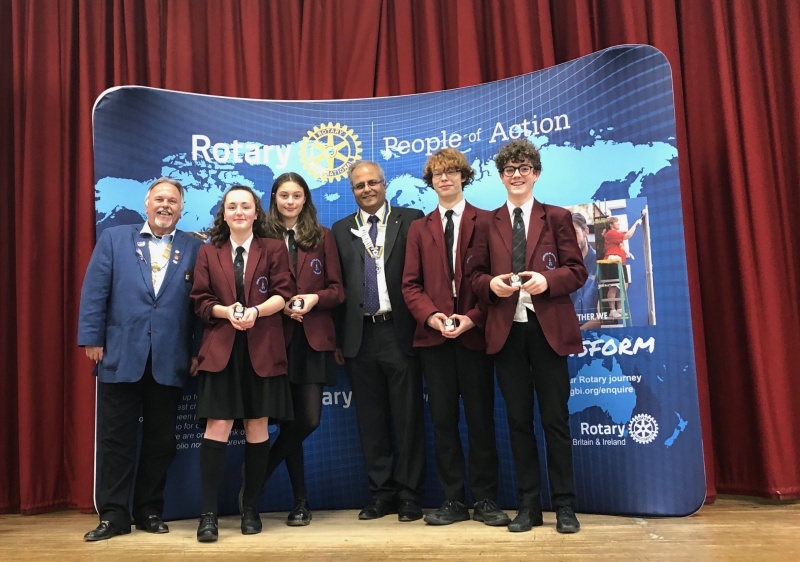 The winners of the Advanced task were a team from John Colet school: Corey Meehan, Emma Manning, Lucy Clark, and Luke Winter. 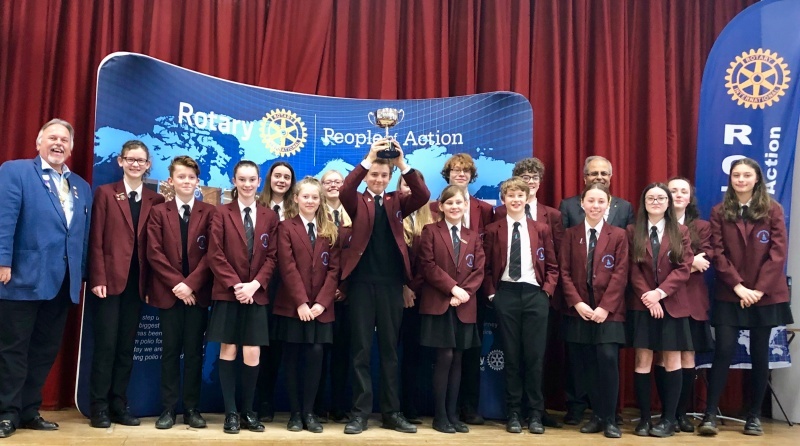 Teams from John Colet also won the Intermediate and Foundation tasks. 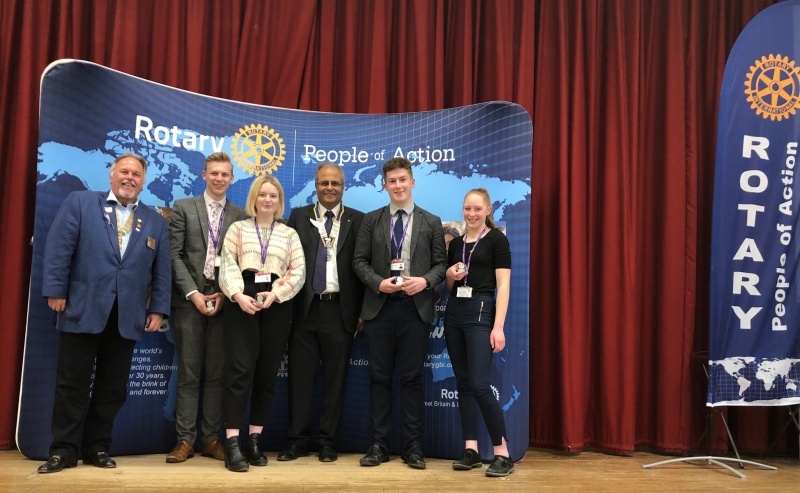 All participants received a Certificate, which can help with their C.V.s in future, and the winning members each received a token prize to remember the event. This Tournament was introduced to Chesham many years ago by the late Rev Derek Upcot, and has now spread throughout Britain. 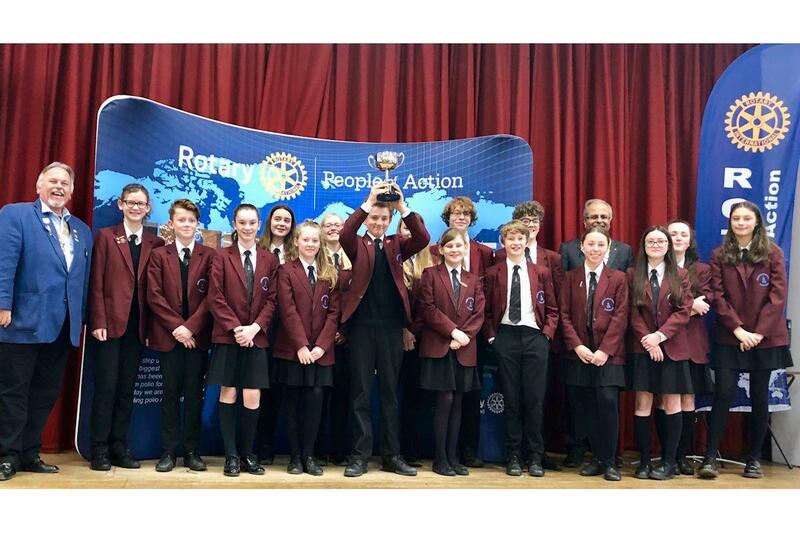 The Derek Upcot Memorial Cup was presented to The John Colet School. The highlight of the event was watching all the devices being tested, and a speech by our Chief Judge, Ray Payne. He is a professor of Engineering, and a well-known local resident, and was able to explain how solving problems like this apply in the real world, illustrated by features of the various devices produced.